Analytics? Algorithms? Target Market? Social listening? Social media marketing? Content marketing? Hashtags? The world of social media management can be a a confusing place! Especially for small business owners who are trying to reach their audiences in the ever changing environment of social media. Long gone are the days when businesses could just put out their advertising and just expect their audiences to receive it and respond. Now audiences want to be entertained, inspired, educated, and informed. They don’t want brands shouting sales opportunities at them – they want brands that engage them in the conversation. They want to know your story. As a small business owner, you’re probably already aware that you need to be active on social media because that’s where a lot of your potential clients and fan base are on a daily basis, and it’s where you should be as well. The question is, should you manage your own social media accounts or should you hire a professional to manage your accounts for you? In this article, we’ll share with you the top benefits and advantages of hiring a social media manager to help propel your business, get you the best ROI on your marketing investments, and help you navigate through the somewhat confusing, complicated and sometimes stormy and turbulent waters of social media madness. One of the biggest benefits and top reasons for a small business to hire a social media manager is because it saves you time. Time is one of the most valuable resources for a small business owner. Social media management takes time, and lots of it! Especially if you want to manage your social media accounts effectively and to get the most potential out of using social media for your business. Between creating posts and scheduling them to be posted at the most effective time, to creating the right kind of posts, to super targeting your ads to reach your ideal clients or fans, all the way to social media listening and monitoring, social media management just takes time. Fortunately, when you hire a social media manager, they do the work for you and save you time. This allows you as the small business owner to use your valuable time to do what you do best, the managing and running of your company. It’s a jungle out there! Social media management has become confusing to so many small business owners. Analytics? Algorithms? Target market? Social listening? Social media marketing? Content marketing? Hashtags? It can almost seem as though social media platforms are completely different planets, each with their own cultures, native audiences, and even their own languages. And what’s even more confusing is that it’s constantly changing. Which types of posts should you make for which platforms? Which platforms should you be on? How often should you post? How many hashtags should you use, and which ones, and what is a hashtag anyway? And what’s up with algorithms – how come only a very small percentage of your fans will even see your posts? Social media managers help you navigate these confusing and sometimes turbulent waters. They know when to post, what to post, how often to post, and how to help you get the most out of your pages. They can also provide social media monitoring and listening on behalf of your business, helping you to stay consistently connected to your audience through content and conversation with your target market and fans. Creating a Facebook ad, or other social media ad, can also be confusing and time consuming. And even worse than that, it can be ineffective and could waste your money, if it’s not done effectively. Social media advertising is a powerful tool when used the right way. But you have to know how to properly make your ads. This includes everything from using the right picture and verbiage, to creating a landing page for your website, and most importantly, to creating your ad settings and custom audiences in a way to super target the right audience so that you aren’t just throwing your money away on “marketing” without receiving any real ROI. Social media managers can help you create your marketing and advertising strategy with your specific goals in mind. They will create powerful ads and make sure that they’re sent at the right time, to the right audience. This also saves you time, by not having to come up with all of this and do it yourself. One of the biggest mistakes a small business owner can make is not being consistent with their posts. They may do really well for a while, posting several times within a few days, but then they my get busy and forget to post for several days, weeks, a month, etc. With social media management, quality and consistency are more important than quantity. Your social media platforms should be like TV channels. When people watch TV, they know which night of the week that their favorite shows are on, and what time they come on. Social media managers help you come up with a strategy for your platforms to send your intended content to your intended audience. And they set up a content schedule that is consistent so that your audience always knows when your new content will be coming out and what type of content they can expect. And then they can begin to anticipate that content. Social media management is just another part of your overall branding and marketing strategy. Your brand should look the same no matter what form of media it’s on. From business cards and brochures, to websites and social media platforms, it should all have the same look and feel. You want your brand to stand out from the crowd, and to be unique and completely recognizable – and a social media manager can help you come up with an effective strategy and will then implement that strategy for you, to reach your audience, and to reach your ultimate goals.  Splash Designworks is a multi-award-winning ad, branding, digital marketing, design and social media agency. We’re like an ad agency without the ad agency pricing. When it comes to branding, marketing, and rebranding, we do it all! We do logos, websites, graphic design, business cards, brochures, flyers, social media marketing and management, video production, and more! Our business is to help your business stand out from the crowd. We help businesses come up with a look and feel that is uniquely theirs. We are Splash Designworks – Ideas That Work! 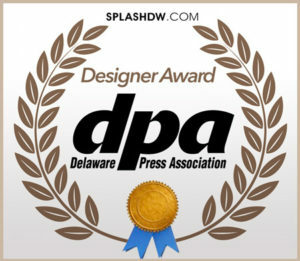 Visit us online at splashdw.com, call us at (302) 399-7851, or email us at info@splashdw.com. You can find us on all major social media platforms (Facebook, Twitter, Instagram, LinkedIn and more) as Splash Designworks or splashdw. We hope this article was helpful. Let us know if you have any questions or would like more information. We’re here to help!